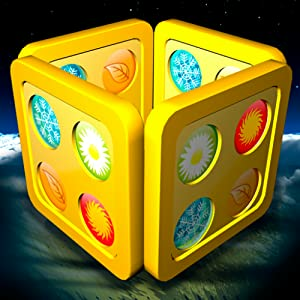 "Fantastic 4 In A Row 2" take our award winning classic game and moves it out of this world. Play the game on a distant planet with beautiful new graphics and music. Wonderful particle effects show as the pieces drops and as wins are made. But we didn't stop there! Try out are completely new and unique 3 and 4 player modes where you get to drop pieces around a multiple sided game board and the winning row can wrap around the sides. This is a great way for the whole family or a group of friends to enjoy this game together like they never have before! My name is Michelle. I am a Mom, Blogger and woman who loves a good deal. I will be sharing great deals, share my hauls and saving tips with you. Click this ShopAt Home Link and Get $5.00 Sign Up Bonus!! !